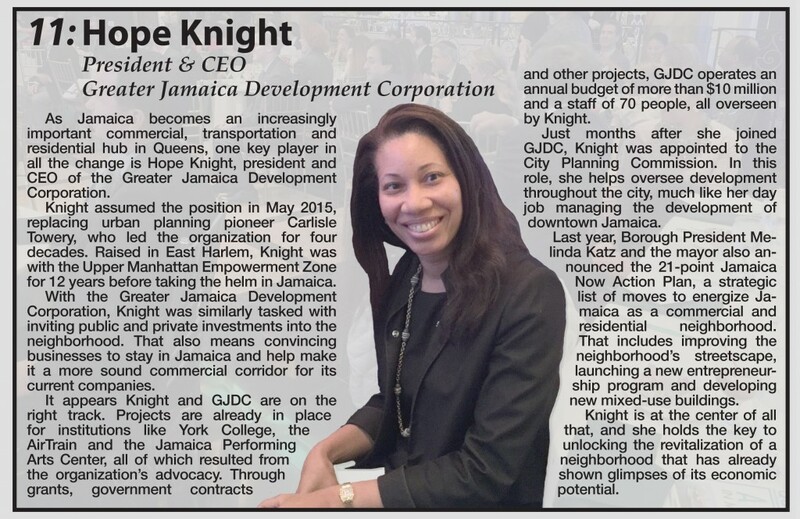 As Jamaica becomes an increasingly important commercial, transportation and residential hub in Queens, one key player in all the change is Hope Knight, president and CEO of the Greater Jamaica Development Corporation. Knight assumed the position in May 2015, replacing urban planning pioneer Carlisle Towery, who led the organization for four decades. Raised in East Harlem, Knight was with the Upper Manhattan Empowerment Zone for 12 years before taking the helm in Jamaica. With the Greater Jamaica Development Corporation, Knight was similarly tasked with inviting public and private investments into the neighborhood. That also means convincing businesses to stay in Jamaica and help make it a more sound commercial corridor for its current companies. It appears Knight and GJDC are on the right track. Projects are already in place for institutions like York College, the AirTrain and the Jamaica Performing Arts Center, all of which resulted from the organization’s advocacy. Through grants, government contracts and other projects, GJDC operates an annual budget of more than $10 million and a staff of 70 people, all overseen by Knight. Just months after she joined GJDC, Knight was appointed to the City Planning Commission. 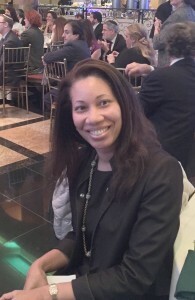 In this role, she helps oversee development throughout the city, much like her day job managing the development of downtown Jamaica. Last year, Borough President Melinda Katz and the mayor also announced the 21-point Jamaica Now Action Plan, a strategic list of moves to energize Jamaica as a commercial and residential neighborhood. That includes improving the neighborhood’s streetscape, launching a new entrepreneurship program and developing new mixed-use buildings. Knight is at the center of all that, and she holds the key to unlocking the revitalization of a neighborhood that has already shown glimpses of its economic potential.